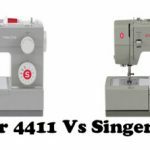 Brother LS2250PRW – Is It Worth Buying ? Brother LS2250PRW will be a good option if you can get it for well under $100. But it seems to be out of stock. In that case, there are better alternatives. 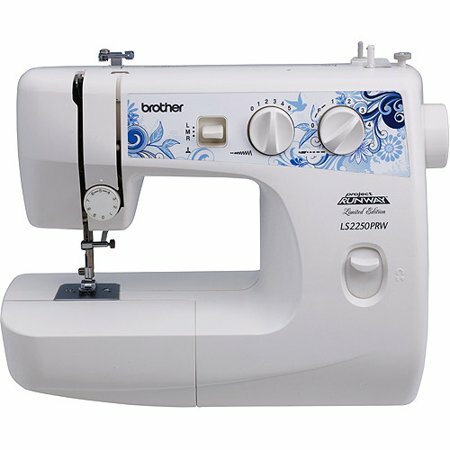 LS2250PRW is a very basic mechanical sewing machine from Brother. I think the machine is discontinued, but I am not sure. It is out of stock in most online stores. Moreover, the Brother website itself has no real information regarding the machine, so I think it is retired. If it is not available, there are better alternatives from Brother itself, we will talk about the alternatives later. Now, let us focus on Brother LS2250PRW. This is a machine with 20 stitch functions. The shipping weight of this machine comes around 15 pounds, so you can say that it weighs as much as an average Brother sewing machine. The machine has a vertical bobbin, which is kind of an inconvenience for beginners. 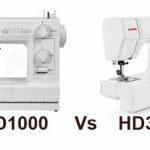 Beginners always love drop-in bobbin, as it is very easy to change bobbin and because you can monitor the bobbin thread supply. The stitch width and length can be adjusted using the knobs. The machine has a 4-step buttonhole, which to me is slightly old fashioned. All modern machines come with 1-step buttonholes, with which you can create buttonholes in a single step. A sewing light is built-in for assistance. The machine is free arm capable as well. It comes with 25 year limited warranty cover. 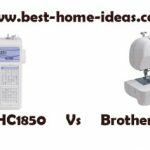 There isn’t much for you to be excited about Brother LS2250PRW, it is a very basic beginners sewing machine. The design and operation is very simple. No learning curve is required. It is a good machine for medium to lightweight fabrics. It seems to struggle with heavy-duty fabrics though. The machine is very easy to thread, thanks to the descriptive user manual. For a beginners machine, I would have loved to see automatic needle threader, drop-in bobbin and one-step buttonhole on this sewing machine. Unfortunately Brother LS2250PRW doesn’t have those features. Honestly, for the price, it will be asking too much, but still I consider those features as essential for a beginner. Also the fact that the machine is out of stock in many stores, makes you think of alternatives. If you are buying Brother LS2250PRW, you need to look at the price first. If it is really inexpensive (by that I mean, well under $100), you can go ahead and purchase it. If it is not available, then alternative models you can consider are Brother XL2600I or Brother XM2701. 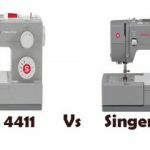 These two are the best sewing machines in the under $100 price category. XM2701 is a recently released model and it is fast growing in popularity. XL2600I has been a tried and tested model, it has been the best seller in the under $100 category for years. It is also the least expensive of the two. 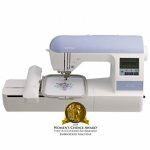 Both machines have advanced features like automatic needle threader, drop-in bobbin and one-step buttonhole.